The RC48C ground-fault ground-c ontinuity monitor is used to monitor the residual current in high-resistance grounded instal- lations. The maximum ground faul t current in these installations is limited by a neutral grounding resistor to 5 A, 15 A or 25 A. If a limiting value is exceeded, a relay with two voltage free chan- geover contacts will be activated. 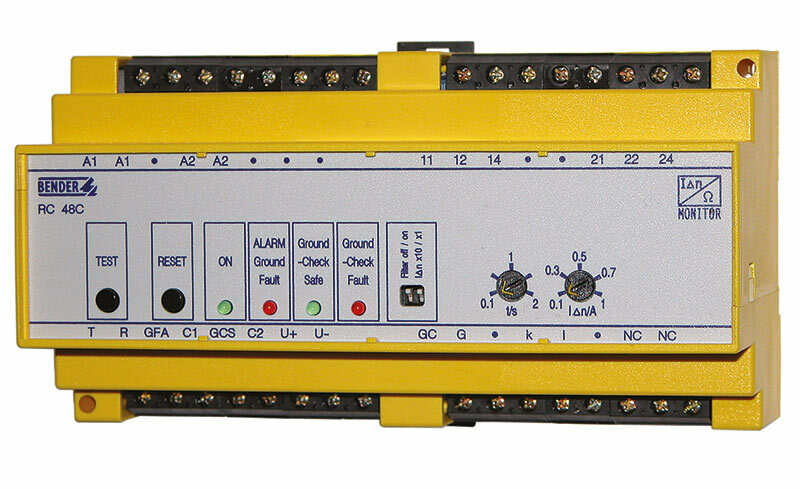 Alarm messages of the RC48C ground-fault ground-c ontinuity monitor can also be displayed on a remote RI2000GC alarm indicator and operator panel.